Ask students if they have ever tried to become friends with someone new or if someone has ever tried to become their friend. When? How could they tell? What did they do (smile, ask to play, say kind word, share, sit nearby, do nice things, etc.)? How did they feel? He saw a (color) tail. It belonged to a (animal). "Do you want to be my friend?" asked the mouse. But the (animal) was too busy and did not seem to hear the mouse at all. Have you ever seen an item like this before? Where? What is the item called? What can we do with all of these items? Introduce title, author, and illustrator; Take a picture walk letting students orally describe what the pig is doing and the ingredients she is using. Stop the picture walk when the other animals enter the story. 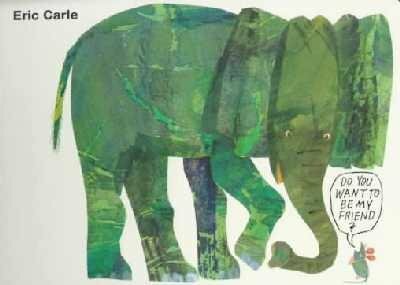 Let students discuss what the animals may be saying and predict what might happen next; Read the story aloud. ; Ask students to share what they would have done and why. Also, ask them to consider if they would want the pig to be their friend. Why or why not? Act out the story! Give each student a two-sided picture card. (I had an old copy of the focus story, tore out the pages, and laminated them - perfect!) Each card contains an animal on one side and his tail on the other side. Let students arrange themselves so that they are in the same order as the animals in the story. To begin, have the students show the side containing the tail only. As each animal is mentioned, students turn their cards over so that the animal can be shown. Teacher and all students: He saw a (color) tail. Animal character: It belonged to a (animal). Mouse: Do you want to be my friend? Reread A Cake All For Me. ; Reread the story, pausing for students to supply the rhyming words on each page. ; Brainstorm additional ways that we can share with others. Tell students that they will each be given a turn to draw a friend's name from a basket. They will then need to use that friend's name to complete the predictable sentence, " (Name of student) is my friend." Let the 'friend' orally spell his or her name as you write it. Write each sentence on chart paper, writing the 'drawer's' name at the end of the sentence in parenthesis. Reread each sentence tracking the print. Sort the pictures by the color of the animals. Sort the pictures by the size of the animals (small, medium, large). Sort the pictures by where the animals might be seen (farm, forest, zoo). Sort the pictures by beginning sounds. For example, place all of the animals whose name begins with /m/ in one pile and all of the others in another pile. Say the name of just two animals. Ask students to listen carefully and determine which animal name is longer. Turn the cards over and check by counting the number of letters in each animal name and/or clap the number of syllables. Companion Story: Reread- Shared Reading (with students supplying the rhyming words). Complete the writing of the predictable chart, similar to yesterday. Reread each sentence tracking the print. Reread Do You Want to Be My Friend? and A Cake All For Me! (shared reading). ; Review these two stories as well as any other stories about friendship that have been read. Have students share what they have learned about being a friend. Ask students to think about their new friends. Let them share what they think makes a good friend and complete this sentence, "A friend ______." Make a list of students' responses. Companion Poem: Reread 'Friends' together. Have each child reread his/her sentence, tracking the print. Cut apart one sentence and let students 'Be the Words' and organize themselves into the correct order. Read together. Model how to place each word in the correct order at the top of the page. Then, let each child arrange their words to form their sentence. After their sentence has been checked, let students glue the words at the top of their friend's photo page. Bind all of the pages together in order to make a 'Friends' class book. This can be a traveling class book and/or a book to keep in the classroom to enjoy throughout the year! Play 'Friends Memory' either by matching identical photos of classmates or by matching photos and names of classmates. Begin daily name activities from Building Blocks. Compare books with words and books without words. Pair students up and have them complete 'My Name/Your Name' sorts. Students are given the letters in their name and asked to sort each letter by whether it is in their name only, in their friends name only, or in both of their names. 1. Sort classmates into different categories (colors wearing, pets, gender, etc.). 2. While discussing ways to share, learn about halves and sharing equally between two friends. 3. Play 'Number Walk' in which students stand on a numeral that is on the floor around a circle. Students walk, hop, etc. around the circle while the music is playing. When the music stops, the teacher calls out a numeral and all students point and call out the name of their friend who is standing on that numeral. ('Number Walk' is adapted from Math in Motion by Franco and Dauler, Creative Teaching Press: 2000.). 4. After reading Every Buddy Counts, make a class counting book with the same title. Take photos of the students and label the pictures as 1 buddy, 2 buddies, 3 buddies, etc. 5. On child cutouts, write the numerals 1-10 and ask students to arrange them in order. 1. Group students into partners and have them work with mirrors, half pictures, and real objects. Have students use the mirrors with the half pictures in order to determine what the entire object would look like and to pair up the half picture with the real object. 2. Set pairs of students together with a mirror. Have them look carefully at one another and talk about how they are alike. After a short time, come together as a class and share what they found to be the same. Show students a large cut out of a child and label the parts that are the same for all of the friends in our class. Learn about using good manners and polite words. Study and practice friendly character traits. Learn how what we say and do can affect other's feelings. Act out how we express different feelings. Share good deeds that we see classmates doing. Role-play situations for students to practice making friendly choices. 1. Sing and move to the 'Friends Sound March', 'Buddy Boogie', and 'I Have a New Friend'(from Fall Phonemic Awareness Songs and Rhymes by Jordano and Callella–Jones, Creative Teaching Press: 1998). 2. Pair students and have them mirror each other's actions. 3. Play 'Movement Telephone' in which all children are in a line facing away from the teacher. The teacher taps one student and makes a movement that only he/she can see. That student taps the next child and mirrors or repeats the movement. The last child in line shows the movement to the entire class and compares it with the teacher's original movement. Have each child bring in a piece of fruit and work together to make a friendship fruit salad! 1. Create a friendship quilt with each child's name, photo, and self portrait (use mirrors). 3. Ask students to draw what they like to do best with their friends. Then let students label their picture. 4. Have students make themselves out of wallpaper scraps, yarn, construction paper, etc. Once individual projects are completed, attach them all together on a mural to form a 'Friends' mural. Have each child write his or her name underneath. 5. Let students finger-paint a picture and give it to a friend. 2. Create All About Me's! Families are asked to help their child decorate a child cutout to reflect him or her – their favorite things to do or eat, their favorite people, their favorite books or toys, etc. They are free to find magazine pictures, paint, draw, whatever! These can also be shared and then displayed. If you're friendly and you know it, (clap your hands)! If you're friendly and you know it, then your face will surely show it! in any kind of weather! To know you, to know you. To have so much fun with. Let's share them with our friends.